Safety In Acupuncture #1 presents several acupuncture points of major safety concern. Learn important anatomical structures to avoid at acupuncture points including internal organs, arteries, and other sensitive areas. A review of pathogens affecting the workplace (including HIV & hepatitis) and medical waste disposal laws are also presented. Download the course, complete the online quiz and receive immediate acupuncture license credit. Fulfills the special NCCAOM Safety PDA category requirement, Provider #602. Useful information and a good review. Good, effective and easy to understand! Good course, covers the appropriate material. It covers safety but was a all over the place touching on points, pathogens, and medical waste. Which it serves it's purpose but there could probably be a course on each of those. A good review in some points I do not often use. This course is great to meet the standards for NCCAOM recertification. It helps to remind us of some ignored but important safety concern. Well organized and good refresher. Course Notes are easy to read and understand. They are straight to the point. Great course! Easy to access and complete. Covered the basics that were part of needling technique. Excellent information; up to date. Informative, easy to access, useful for those needing CEUs. now i clearly understand regarding safety for acupuncture. this is also pretty clear and easily understandable. Great! Concise, great info and review as well! Well done. Easy to follow. Nice reminder or infectious contaminations and waste disposal requirements. Helpful. Learned and reviewed some important points. I enjoyed this class - great review of some interesting acupuncture points and the anatomy. The course is full of good marterial. I enjoyed it. Good review of safety issues. Good course to review the safety issues. Clear and well organised. Great for updating and revising important clinical knowledge. this course remind me again that I learned for long time ago. Meets your needs for safety test. Good reminder of the most important safety concerns. very informative. not just basic knowledge! Great course! Easy to access! These are great little refresher courses! Fast and easy to take. Great reviews. straight forward and good reminder of point usage and safety of their use. To help my clinical management. Easily accessible, affordable, informative and interesting! a good review of materials, especially for the acupuncture points. This is well written course. very helpful for safety in needling, sharps container info. and infectious disease. Very helpful reminder! Thank You! I would definitely recommend to other practitioners. It is a great reminder of acupuncture safety to be aware of. This course is an excellent review for safety in acupuncture. Great summary on Acupuncture Safety! Thank you! Warmly, Supriya. A good refresher for universal principles of safety. This course refreshes and is very helpful. I think that this is good for acupuncturists that at not in a hospital setting. I have to go thru some training similar to this yearly. Simple and straightforward. Covers some of the important issues in acupuncture safety. This course was a good review of safety issues pertaining to acupuncture which I learned in school. Love this unit. Great to update biohazard info. Good course, would definitely recommend! Good information on the point precautions. Good course. Key points addressed. A good review. Great review of safety issues. 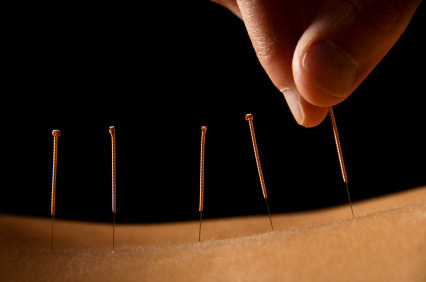 I thought the safety concerns for acupuncture points was extremely beneficial to review. Excellent time effective review of critical details for safely practicing acupuncture. The test is a pertinent assessment. The course clearly explained and clarified with explanations on the important facts. Handy review of standard safety concerns. I printed off the pages and have created a safety binder. Easy and a good reminder of which points to use caution with. Good review/intro to Safety concerns and regulations. Great! Good to brush up on safety issues! easy and straightforward to follow. no surprises. This class is really very good. I will take more in future. Thanks. straight forward, useful reminders as well as updates for changes. this is a great review for points that I do not regularly use. The instructor did a great job to refresh my memory. A good review. Clear and direct information. Very organized and straight-forward, and it was a good review. Greatly appreciated. Clearly written material, straight to the point. Excellent, informative course. Thank you. A useful refresher for important safety protocols in acupuncture practice. This course is a good review of the basics. Well presented, easy & quick to do. Great! Efficient and focused on what's important. I actually like reviewing these topics regularly. Good review of biomedical waste standards and safe needling practices, particularly precautions to certain arteries and nerves. Covers important/relevant information concisely and sufficiently. The course in Safety in Acupuncture #1 was very clear it covered very important issues in acupuncture safety. Clear & concise, the site is efficient and simple. Pertinent and a good review. Very Good Course & will recommend to my peers. I recommend this class to my peers. Good points to mention the dangerous points. Very easy to follow and understand. I would of like a little more depth and for the quiz to be a bit more difficult to truly assess understanding. This is a good course. Worth taking. Full of good reminders. Basic safety information well presented and concise. Clearly presented. I would recommend to other acupuncturists.